Caught copying, examinees of D. El. 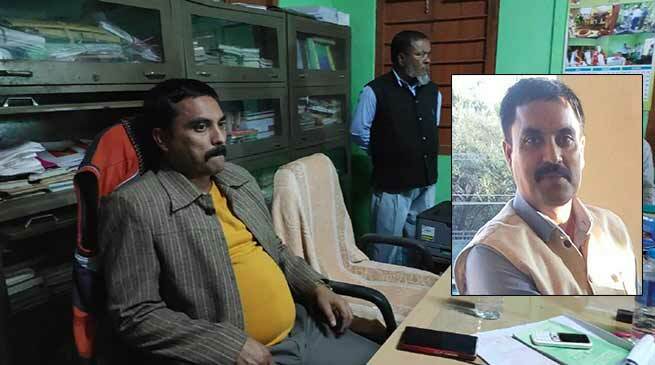 Ed exam assault Inspector of Schools, centre coordinator, in Hailakandi of Assam. Several examinees of D.El.Ed examinations assaulted Inspector of Schools, Hailakandi, Rajiv Kumar Jha when he tried to stop mass copying. Jha during inspection at one of the examination centres at Premlochan High School, Mohanpur on Thursday saw several examinees resorting to cheating and using mobile phones and tried to resist them. Feeling infuriated, several examinees pounced on Jha and assaulted him. When the centre coordinator tried to intervene and come to Jha’s rescue, he too was beaten up. A commotion began and the police personnel deployed at the examination centre rushed in and brought the situation under control. Cheating chits and mobile phones were seized by the police. Jha immediately reported the matter to the district administration authorities and the examination at the centre was cancelled. No FIR has been filed so far, though the police is investigating the matter for initiating appropriate action against the culprits. To ensure that the remaining exams are conducted without any hindrance, the police administration will reinforce security at all the centres.